The greats of Italian jazz spent much of their studio time in the 1960s and ’70s recording soundtracks for the thriving national film industry. The discerning Milanese label Schema has reissued many vintage treasures from this heyday, but they also have a strong line in new recordings by young artists, the latest of which is this rousing album by multi instrumentalist Alex Puddu. A kind of soundtrack to a film which doesn’t exist, it pays homage to the giallo — a species of lurid thriller, often with a supernatural twist, which was a local speciality and which featured much classic music by the likes of Ennio Morricone, Piero Piccioni and Piero Umiliani. It takes guts — or hubris — to set yourself beside these masters of the genre. But Puddu has pulled it off. Danze Delle Ombre in Algeria (‘Dances of Shadows in Algeria’) debuts with chunky electric guitar from Puddu and what sounds like an eerie human voice, but which reveals itself as a braying trumpet by Hendrik Jørgensen. The groovy, trilling flute by Jesper Løvdal gives an authentic period feel while pulse-pounding bass and drums (both courtesy of the multi-talented Puddu) and sensual, funky percussion from Morten Grønvad combine with the twisted jumping sound of a nervy electric organ (yes, Puddu again). This is sheer delight, Jørgensen’s trumpet is like a burst of small arms fire and the listener’s head nods endlessly and enthusiastically in time with the beat as if agreeing with everything Puddu and company’s music is saying. Emerald raises the stakes with accelerating guitar by Puddu and breaking-glass percussion by Grønvad. Massimo Fiorentino plays Wurlitzer and Løvdal continues to blossom on the flute. This piece has a spy movie velocity set against an Eastern-trippy counter melody. Il Sogno, la Luna (‘The Dream, the Moon’) is Spaghetti Western meets Beatles psychedelia, with snatches of strings (La Piccola Orchestra Cinefonica di Roma, arranged and conducted by Giacomo Dell’Orso) opening up into sunny Italian lounge/soundtrack territory. There are chimes and hippy-madness vocals — thanks to the album’s guest star, the sublime Edda Dell’Orso, whose unmistakable voice was one of the mainstays of the original Italian scene. Maybe the breaking glass sound in the last track signalled that we were going through the mirror to Wonderland. Immersioni is distinguished by Grønvad’s fluttering shaker percussion and terse, tasty sax from Jesper Løvdal, accompanied by Puddu’s endless, simple, tight guitar line running under it like life signs on a medical monitor. 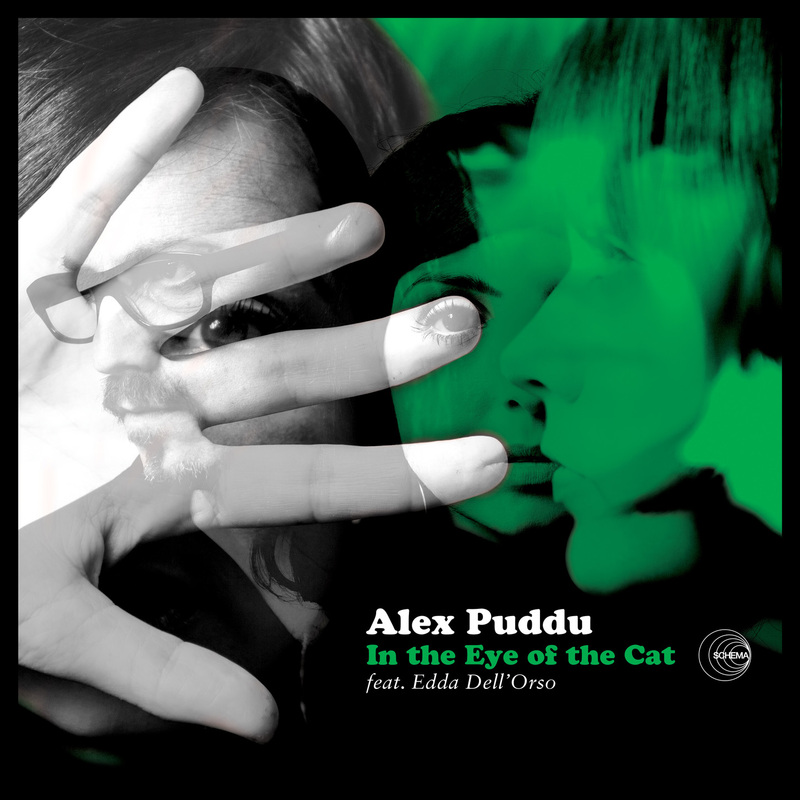 Puddu’s moog conjures widening, fantastical landscapes of the mind. Magic Mountain is built around Puddu’s bouzouki and Mood Psychedelico has great, dirty sax by Jesper Løvdal while on The Bull Løvdal goes in strongly (and impressively) for Roland Kirk-style breathy flute, as he does again the title track, in which we reel drunkenly down a rickety staircase of Hammond organ by Massimo Fiorentino. It goes against the grain to recommend a digital version, but it’s worth noting that the CD of In the Eye of the Cat contains an additional track featuring the glorious vocals of Edda Dell’Orso. Whichever format you go for, this is a marvellous retro treat which transcends any notions of pastiche — instead it’s an act of homage worthy of setting beside the cream of the originals. Quite a trick, but Alex Puddu has pulled it off. In the eye of this particular cat is to be found a miraculously perfect reflection of the vintage greats of Italian film music.